Canoe Lake Macatawa on the shores of Holland, MI! Our Mad River Journey 167 Canoes are perfect for a day on the lake. The most beautiful and natural scenery in Holland can only be seen from the water and seeing it while canoeing is the perfect way to do it. 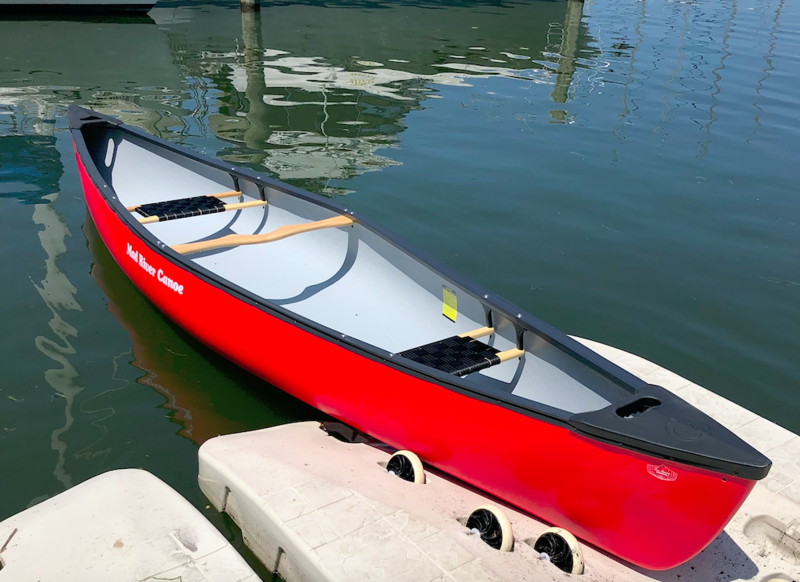 Our canoes are some of the best recreational canoes available. The spacious 167 is versatile and stable, with more speed and storage for longer trips on the lake. Sandals and shoes if planning on canoeing across the bay to the state park to hike the awesome trails and view the expansive overlooks.